According to KPMG’s Banking Survey 2012, while economic conditions in Hong Kong were generally favourable in 2011, banks operated in a challenging environment. The slow GDP growth combined with the increasingly uncertain investment market has led to slowing activity in the banking sector. Asian Banking and Finance came up with this list of top 10 Hong Kong banks by total assets as of fiscal year 2011 based on the said survey. We also compiled some information from each bank’s 2012 annual reports. HSBC led the pack with total assets of HK$5.6t in 2011. Bank of China (Hong Kong) was a distant second with HK$1.68t. Completing the top 5 are Hang Seng Bank (HK$975b), Standard Chartered Bank (Hong Kong) (HK$853b) and Bank of East Asia (HK$611b). The group’s operating segments are organised into two geographical regions, Hong Kong and Rest of Asia-Pacific. Hong Kong reported pre-tax profits were HK$56,499m compared with HK$43,197m in 2011, an increase of 31%. Reported profits included gains on the sale of the bank’s shares in Global Payments AsiaPacific Ltd of HK$1,647m and both the HSBC and Hang Seng Bank general insurance businesses of HK$905m and HK$354m respectively. 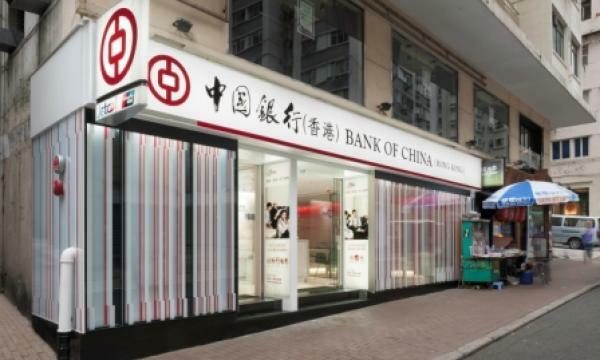 BOC Hong Kong (BOCHK) was incorporated in Hong Kong on 12 September 2001 to hold the entire equity interest in Bank of China (Hong Kong), its principal operating subsidiary. In 2012, the Group’s profit attributable to the equity holders increased by 2.4% year-on-year to HK$20,930 million, a record high since listing. Net operating income before impairment allowances was HK$35,760 million, increased by 15.9% as compared to 2011. The growth was mainly driven by the increase in net interest income and net trading gain. Founded in 1933, Hang Seng is a principal member of the HSBC Group, one of the world’s largest banking and financial services organisations. Hang Seng Bank and its subsidiaries reported a profit attributable to shareholders of HK$19,426m for 2012, up 15.0% compared with 2011. Earnings per share were up by 15.1% to HK$10.16.Profit before tax was up 15% at HK$22,113m, reflecting an increase in return from Industrial Bank Co., Ltd. and the disposal gain arising from the sale of our general insurance business in July. Standard Chartered has operated for over 150 years in some of the world’s most dynamic markets. In 2012, Hong Kong, Taiwan and mainland China delivered income of $4.9 billion, up 11% and exceeding the CAGR of 9% over the past ﬁve years. Income in Hong Kong grew by 10%, with Wholesale Banking income from RMB-denominated business up 30%, mainly in foreign exchange and trade, whilst RMB deposits in the Consumer Bank grew by 70% year -on -year. Incorporated in 1918, The Bank of East Asia is Hong Kong’s largest independent local bank. At the end of 2012, BEA operated 88 branches, 62 SupremeGold Centres, and 7 i-Financial Centres throughout Hong Kong. Profit attributable to owners of the parent reached a new high of HK$6,056 million, HK$1,698 million, or 39.0%, greater than the HK$4,358 million earned in 2011. Basic earnings per share stood at HK$2.72. Return on average assets and return on average equity were 0.9% and 11.9%, respectively. ICBC (Asia) has 56 branches, 20 "Elite Club" Wealth Management Centres and 4 commercial business centres in Hong Kong. The Group achieved a record high profit after tax of HK$4,015 million for the year 2012, representing an increase of HK$862 million as compared to the previous year. As a result of strong growth in interest-bearing assets, ICBC (Asia)’s net interest income increased by HK$962 million, or 19.6%, to HK$5,869 million. The principal activities of DBS Bank (Hong Kong) and its subsidiaries are the provision of banking and related ﬁnancial services. The Bank is a limited company incorporated and domiciled in Hong Kong. The ultimate holding company is DBS Group Holdings Ltd. (“DBSH”) which is listed, incorporated and domiciled in the Republic of Singapore. Nanyang Commercial Bank was incorporated in Hong Kong on 14 December 1949. Presently, the Bank has 42 local branches and a branch in San Francisco in the United States. The Bank has also established a wholly owned subsidiary,Nanyang Commercial Bank (China), Limited, in Mainland, offering comprehensive banking services. NCB is a wholly owned subsidiary of Bank of China (Hong Kong). Wing Hang Bank Group has over 70 service points throughout Hong Kong, Macau and Mainland China. The principal banking activities of the Group in Hong Kong and Macau are retail banking, corporate banking, hire purchase and foreign exchange and treasury services. In addition, through its subsidiaries, the Bank provides nominee, offshore banking, consumer financing, share brokerage services, insurance agency and insurance broking. Previously known as CITIC Ka Wah Bank, CITIC Bank International is a Hong Kong-based full-service commercial bank that offers a broad spectrum of financial services spanning wealth management, personal banking, wholesale banking as well as global markets and treasury solutions. Its footprint in Greater China includes 34 branches in Hong Kong, a branch in Macau, and a branch in Shanghai.